It’s rare that I make a grocery trip in the winter that doesn’t include picking up at least a pound of Brussels sprouts. You may have noticed that I sneak them into recipes wherever possible, like in this pasta or this salad, but also letting them star on their own by simply roasting or sautéing them and eating them alongside our main course. 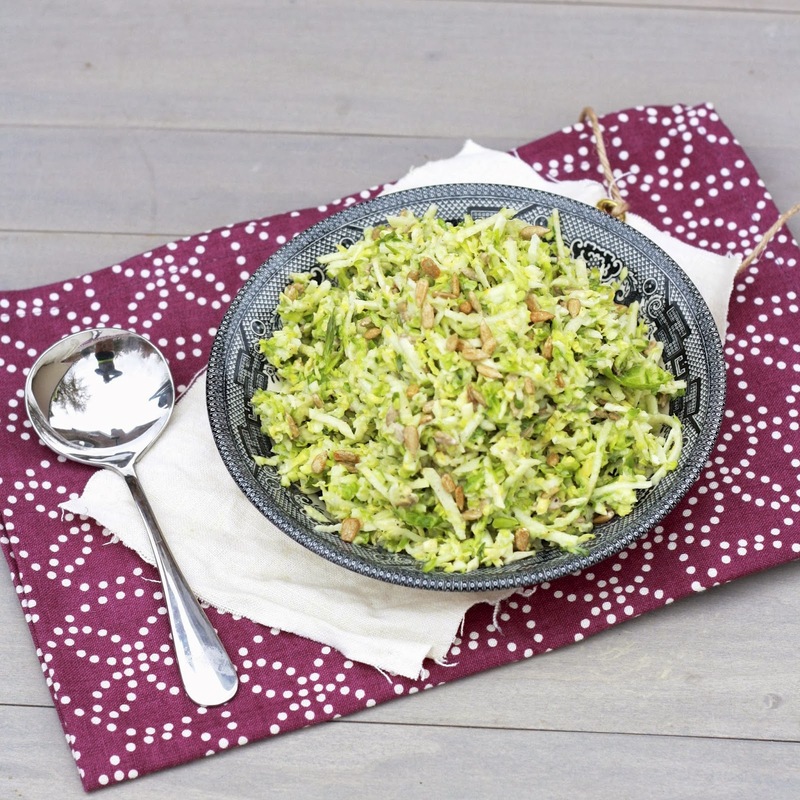 Given that Brussels sprouts are essentially mini cabbages, they also work exceptionally well in slaws! 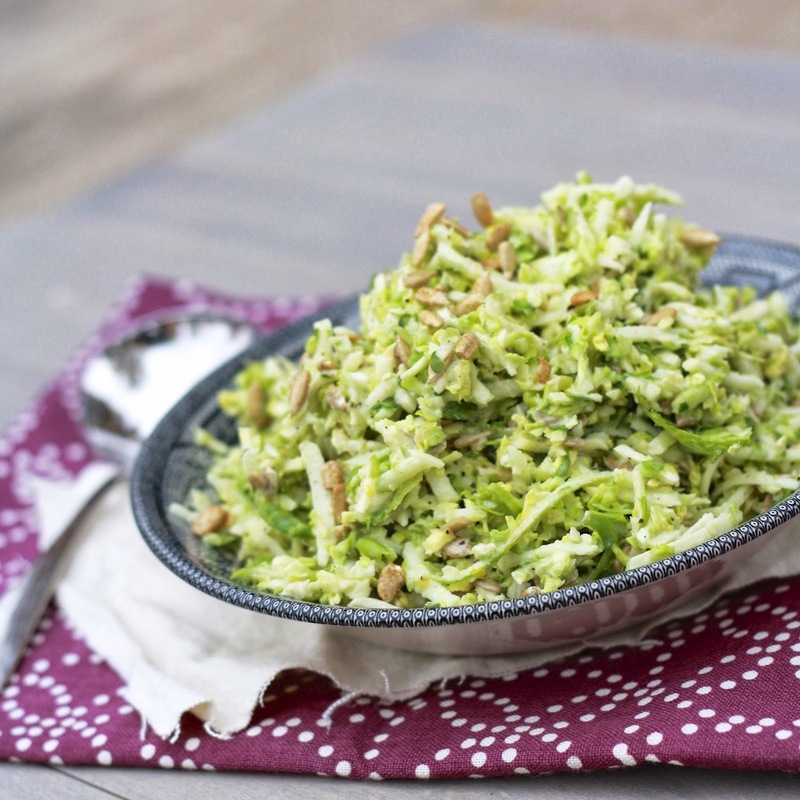 I’d seen a few different slaws featuring the vegetable lately and combined a few of the recipes to come up with this one that also includes apples and sunflower seeds. 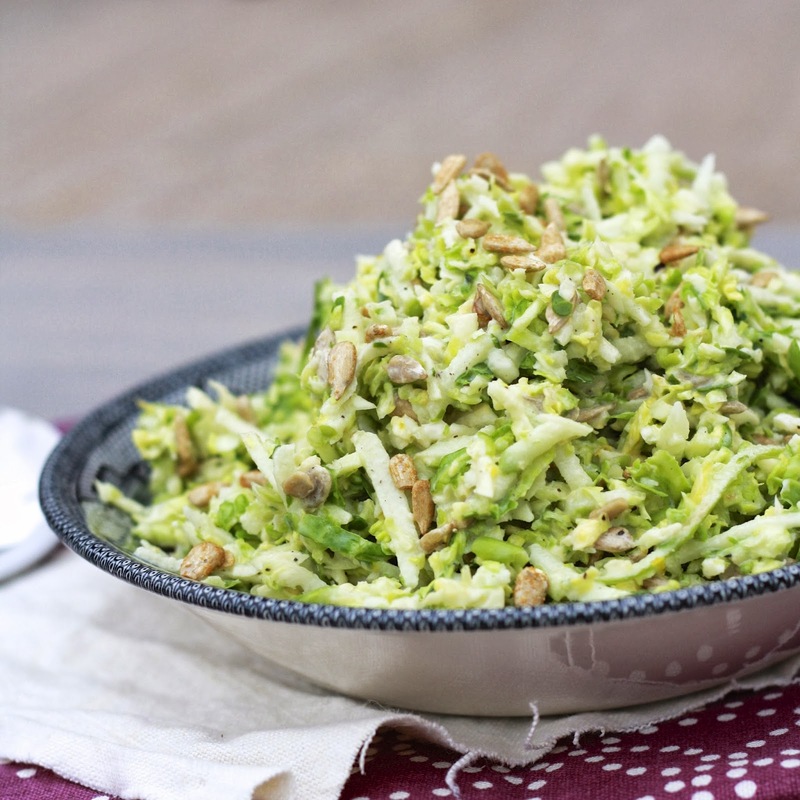 Greek yogurt and lemon juice dress the slaw, making it a lighter option than your typical mayonnaise-laden slaws. summer BBQ, it was a breath of fresh air to have something crisp and tart alongside a warmer, heavier dinner. Bonus—it can be made ahead of time and doesn’t require use of the oven or the stovetop, making it a good addition for your Christmas dinner! 1. Whisk together yogurt, lemon juice, lemon zest, olive oil, and ginger in a large bowl. 2. Stir in shredded sprouts and apple, tossing to combine. Season with salt and pepper. 3. Stir in chives and sunflower seeds.